Last summer I was most happy to have The Mountain Astrologer magazine publish my long essay ” Contemplating the Twelfth House” – a reflection on that most complex of houses, born from my own long period of Neptunian meltdown and recovery during 2001-8. It will be re-published next month in the UK’s“Astrological Journal “, after which I intend to make it available as a free downloadable pdf. In the meantime, I thought some of my Followers and readers who haven’t read the essay would like a peek at the prequel, a much shorter piece in which I first featured the nature image that midwifed the eventual finished essay. 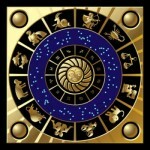 This entry was posted in The Twelfth House ( 3 articles ) and tagged Astrological Houses, Astrology, horoscope, Twelfth House, Zodiac. Bookmark the permalink. I remember this story — touching, and horrifying, and mysterious. Lovely to read it again. 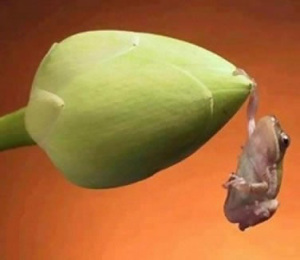 I must confess — there are days when I feel like that frog! i placed it on my wrist and doted on it for the next few hours, and finally went to sleep w/it on the pillow beside me. every so often i awakened and resumed a bit of physical therapy then returned to my dreams. in the morrning it was gone – hopefully fully recovered and now watching over me! What a lovely, tender tale! It is interesting how fragility and vulnerability can call forth such powerful responses in us….that tiny dead frog has never left my memory and I still think of it from time to time. Thanks for dropping by! Many thanks for your affirming comment, Shannon. I will certainly let you know when the pdf of the essay is available.